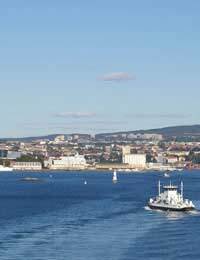 If you are considering some form of medical treatment abroad then Norway should be one of the countries on your list. Norway has high standards of medical professionalism and technological facilities a very low flight time from the UK, and one of the lowest infection rates of any medical establishments in Europe. Combine all these factors with the low cost of treatments, no waiting lists, a beautiful location for a holiday, and Norway may seem the ideal location for medical treatment. If you are flying to Norway from the UK then you can easily find a low cost flight on one of the many budget airlines. Companies such as Ryanair have inexpensive, daily flights from London to Norway for as little as £10 plus taxes. Flying time from London is only 90 minutes; ideal if you need to make more than one trip after your initial surgery. There are other airlines such as British Airways and Norwegian Air, but you will be looking at flight costs of around £100 plus taxes. There are also other travel options such as car, train and ferry but these will add extra travel time to your journey that may not be suitable depending on the type of treatment you are considering. Scandinavian hospitals and clinics have an excellent reputation throughout Europe. The medical technology used is state of the art, and the medical staff are trained to the highest of standards. Hygiene throughout the hospitals and clinics is of a level where the occurrence of infections such as MRSA is almost non-existent. It is compulsory in Norway for any existing and new medical facilities to have an infection control programme set in place. If you are considering any medical treatments in Norway then you can be assured of the best medical care. Surgeons and doctors in Norway study for around six years before they obtain their medical degree. They must then complete another six to eight years of training if they wish to specialise in a certain field of medicine. If you wish to check a surgeon or doctor’s credentials in Norway then you should contact The Norwegian Board of Health, the Directorate of Health and Social Affairs, the Department of Health in Norway, and the Norwegian Medical Association. One of the main factors for patients from the UK travelling abroad for medical treatments in Norway is of course the low cost of the procedures. You can expect treatments to be around 30% to 50% lower than you would pay for the same treatments in the UK. With no waiting lists, low treatment costs, and the low flight costs, Norway works out as excellent financial option for medical treatments abroad. If you are seriously considering Norway as an option for your medical treatment, or indeed any country abroad, it is vital that you research your options. Checking the hospital and surgeon’s credentials, comparing costs of flights and accommodation, and arranging consultations with your surgeon are all part of arranging a medical package abroad. You can cut the research time by employing a medical service provider who will undertake all the arrangements for you but you will need to pay their fees. If you are confident in your abilities to conduct your own research and travel arrangements, you may find it more cost effective to forgo a medical service provider; it is entirely your choice. Check with your doctor prior to any surgery, he or she may be able to arrange any pre surgery tests and give helpful information on medical treatments abroad.